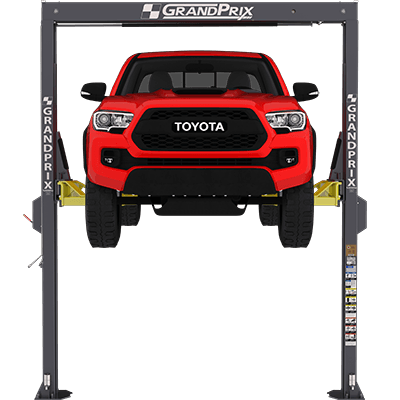 BendPak Lifts – Two-Post Lift – GP-7– 7,000 lb. Lifting Capacity - Gary Bloom Sales, Inc.
With its small footprint, optimal lifting height, speedy lifting times and incredible safety features to guarantee your protection, the GP-7 is a clear-cut revolution in engineering. It all starts with the design. 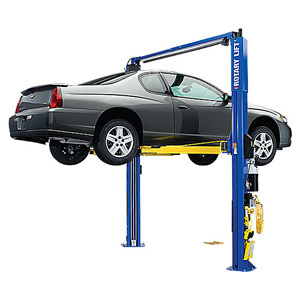 The super-slim car lift columns are capable of lifting up to 7,000 lbs. with incredible ease. 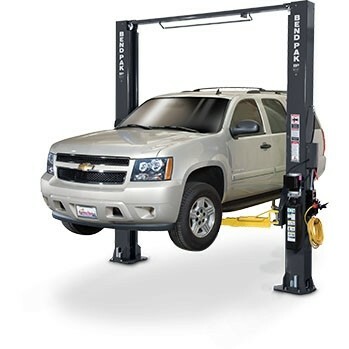 In fact, vehicles will reach a max lifting height of 78″ twice as fast as other lifts. This is possible thanks to a hydraulic cylinder that runs through the overhead crossbar, which acts in tandem with dual aircraft lifting cables to provide lifting force from two sources. 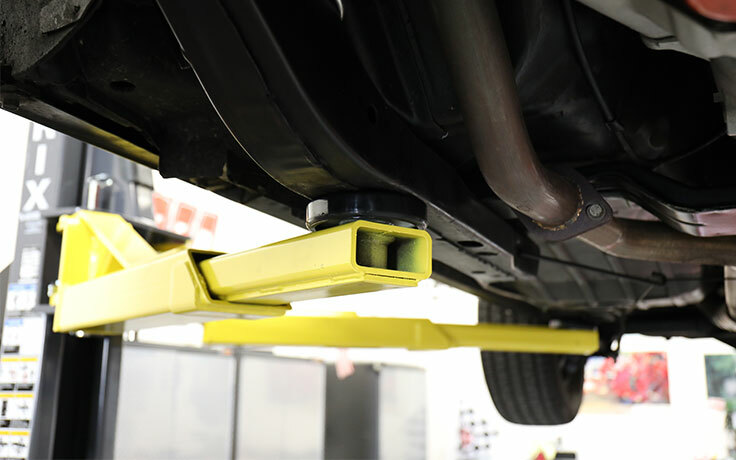 For every inch of cylinder extension, the lift carriage rises 2 inches. The obvious benefit of this is reduced downtime and faster turnaround. We don’t have to tell you that means higher profits and happier techs. 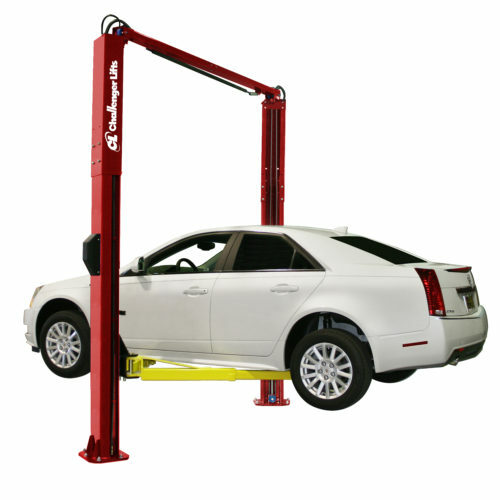 This lift is tailor-made for both commercial shops and home garages with high ceilings. The thinner posts won’t take up much space as your other equipment, making it perfect for lifting low-clearance cars and light trucks while your other lifts handle the heavy-duty business. The quad cable system is another exclusive feature of the GP-7. While two cables act as part of the lifting process, the others are simply redundant backups in the worst-case and entirely unlikely case that the other(s) should fail, develop slack or break. The GrandPrix is so well designed that lifting procedures would be completely uninterrupted. That means two cables could be entirely dysfunctional and the GrandPrix would experience zero negative effects. 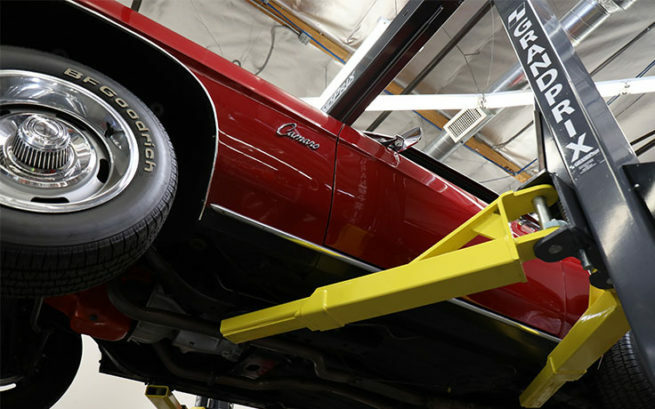 No other car lift combines safety and efficiency in such a slim profile. Kind of remarkable, don’t you think? 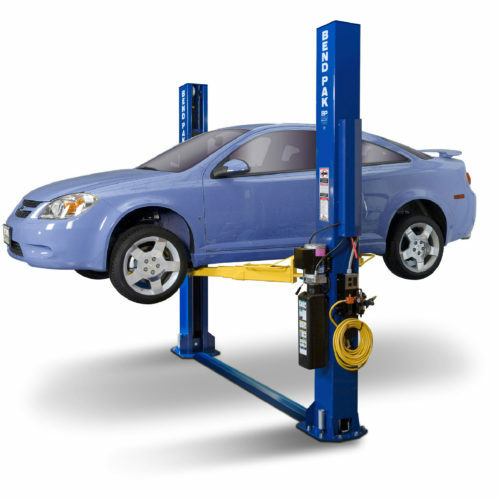 Other two-post lifts feature dual hydraulic cylinders, one in each column. These cylinders are the reason lift columns are so wide—the steel has to accommodate the hydraulics. Since the GP-7 has only one cylinder overhead and uses four cables to assist with lifting, we could significantly reduce the width of the columns. If using half the amount of cylinder force seems like we’re “cheating,” consider this: ALI Certified four-post lifts generally use a single cylinder as well, and they use two lifting cables, whereas the GP-7 uses four! If anything, this lift doubles down on its safety precautions.